Nam June Paik is known for his large-scale television installations. 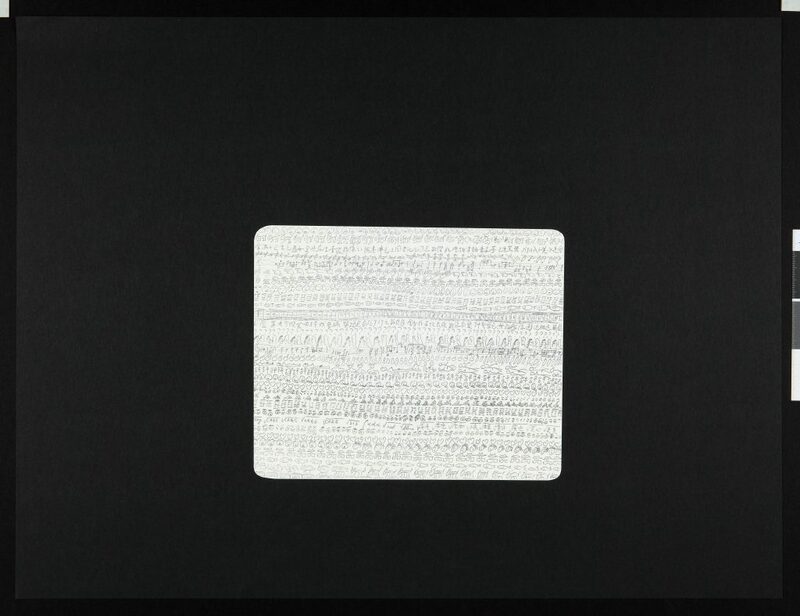 In this 1975 lithograph, Paik comments on the nature of television—images and information assaulting our senses in a constant stream— showing rows of hieroglyph-like images set against a black background and calling it T.V. News.